The following is a sample itinerary for this trip. 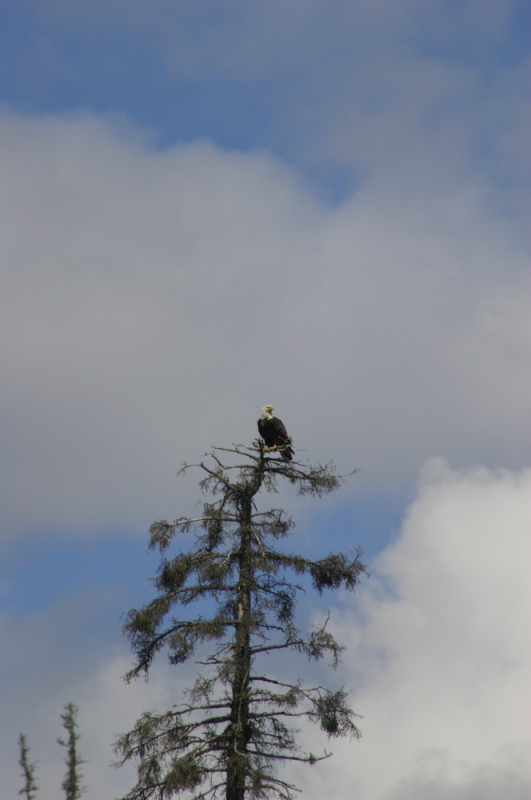 Due to individual abilities and goals, as well as the demanding environment of Alaska, all of our trips are customized as they unfold. The guide will constantly make decisions based on weather, logistics and group dynamics to maximize each day’s experience. 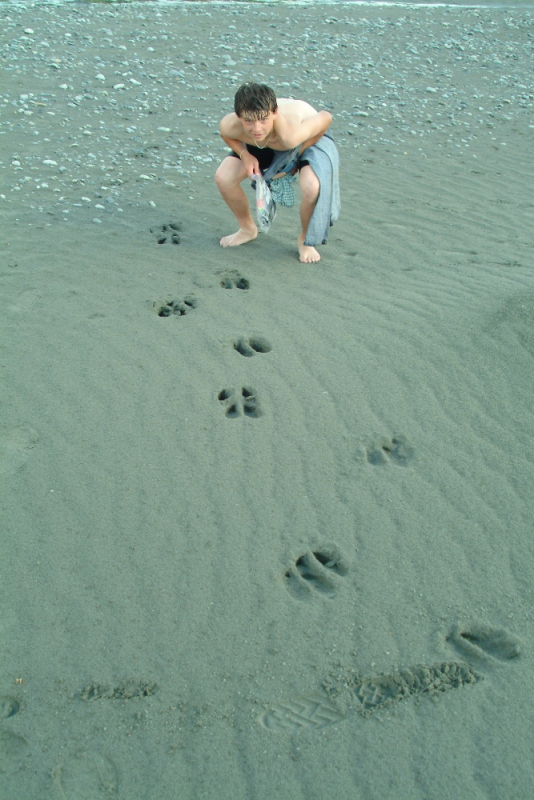 There can be quite a bit of variation, but we always strive to make every trip your best ever. DAY 1 – This morning you will meet your guides at our base, the Motherlode Powerhouse, where you will gather raingear and rubber boots and pack your clothing and other personal belongings into waterproof drybags. 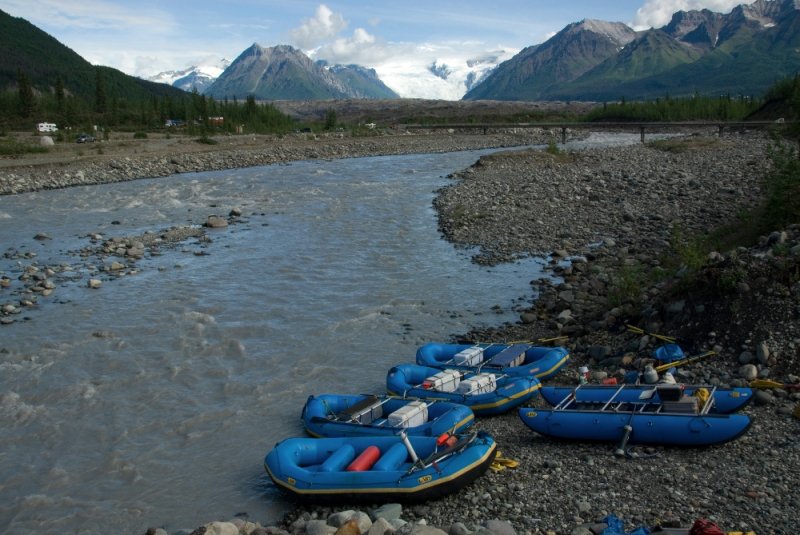 You will then head down to the Kennicott River, where the boats will be waiting. After loading your personal gear, there will be a thorough safety presentation and we will be ready to launch. 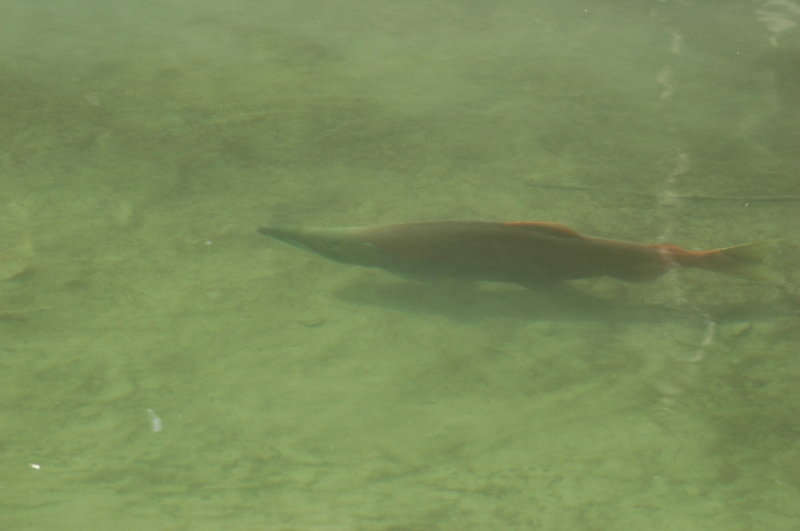 The morning starts out splashy and fast, but after only an hour the Kennicott joins the Nizina and triples in size. 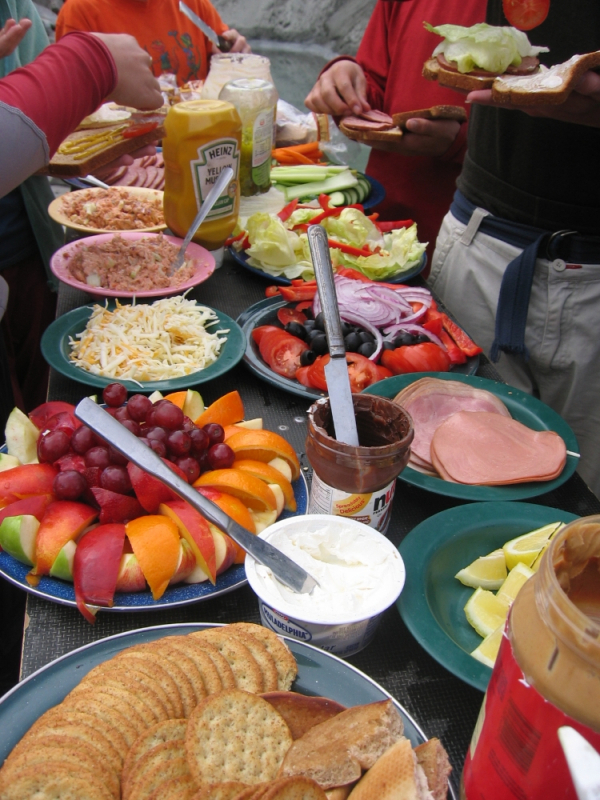 Soon after this we will stop for lunch. 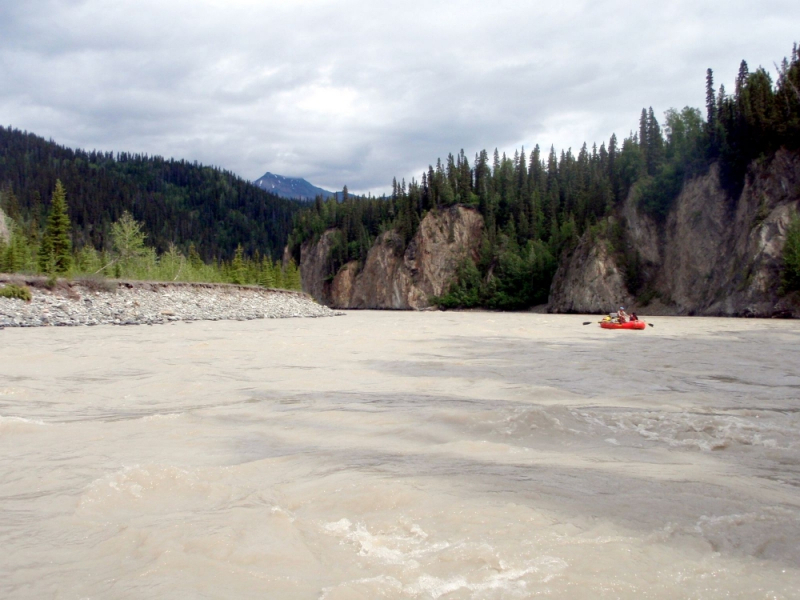 This afternoon we meet the most exciting whitewater, as the river narrows into the mighty Nizina Canyon. The water boils and surges as it is forced around the tight turns. 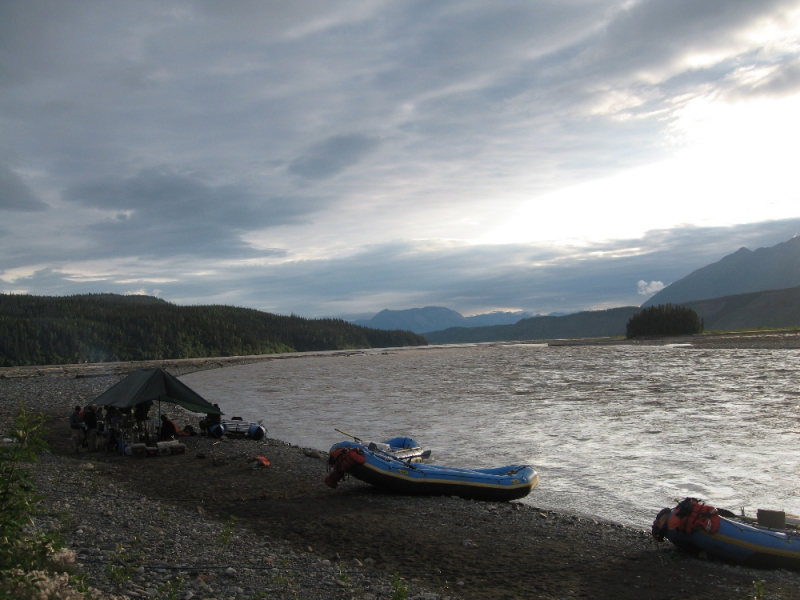 Tonight we will camp at the end of the canyon where it opens onto the broad Chitina Valley. 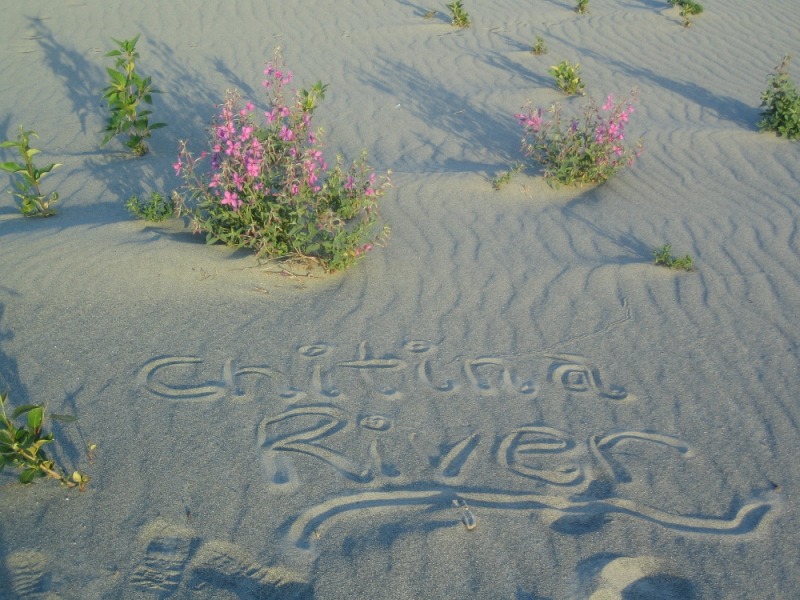 DAY 2 (and Day Three if on the four-day option) – Today we continue down the Chitina River, navigating the many channels that weave across the gravel bar. 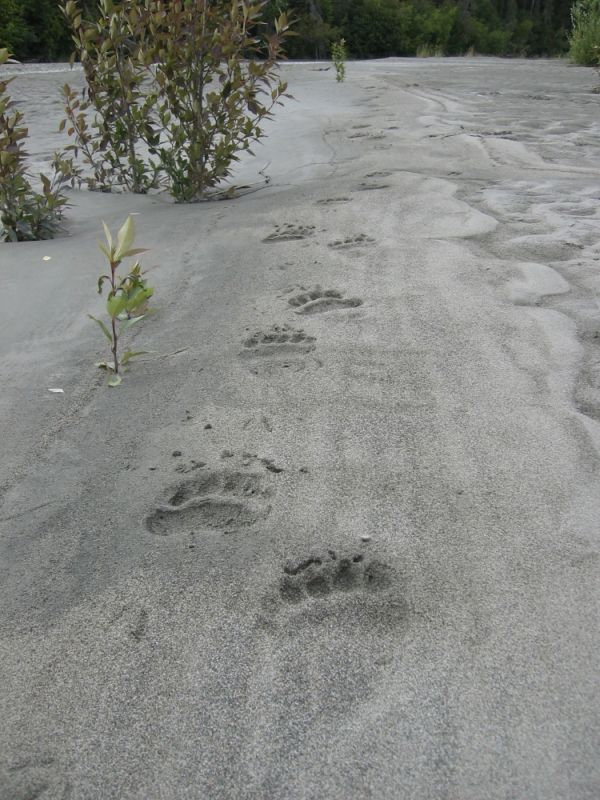 We will stop at clear streams and sloughs to search for spawning salmon and keep our eyes peeled for the grizzlies and eagles that feed on them. 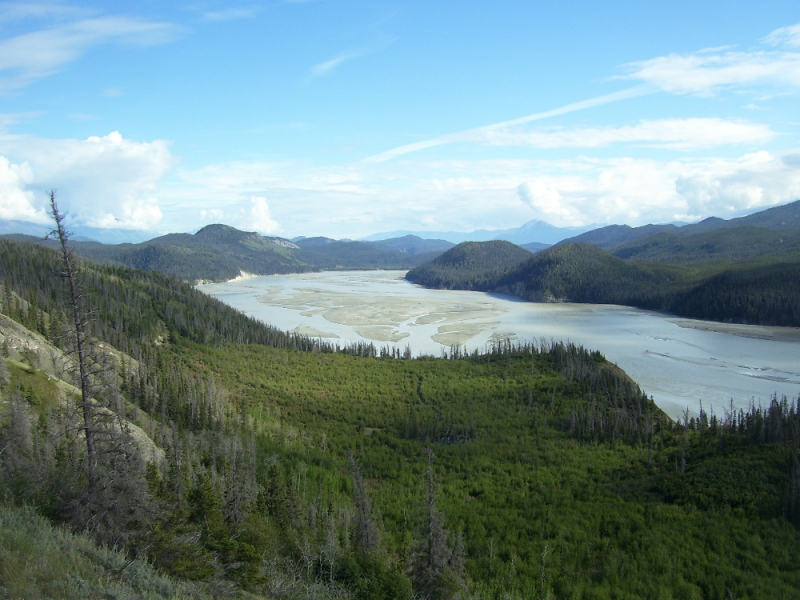 We can stop for short hikes, including the magnificent Nelson Mountain landslide and the secluded green waters of Nerelna Creek. 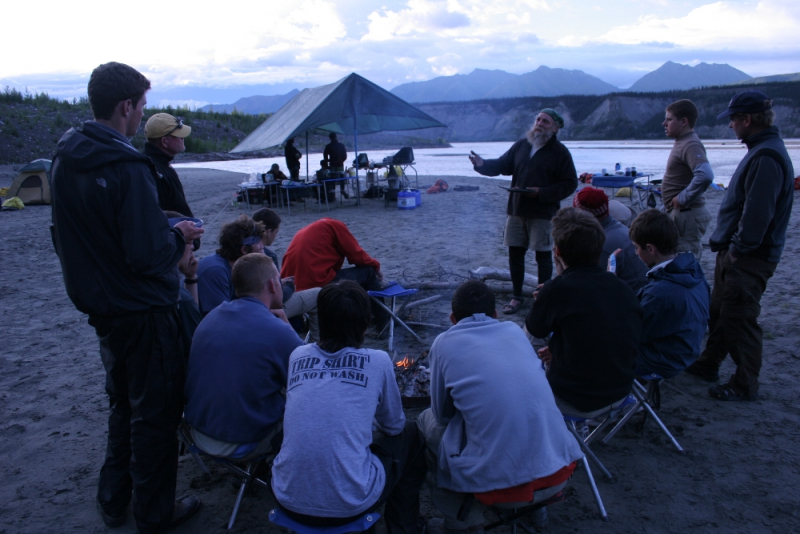 Depending on the weather and water level, we will make camp either out in the open or along a sheltered stream. On the four-day option we will have more opportunities for hiking and lounging in camp. FINAL DAY – This last day on the river we will continue downstream to where the Chitina doubles in size as it meets the mighty Copper River at the edge of the Chugach Mountains. Spirit Mountain appears downstream, beckoning us on, but here we must end our journey. After stopping for lunch we will travel the last few miles, unload the boats and say our good-byes. 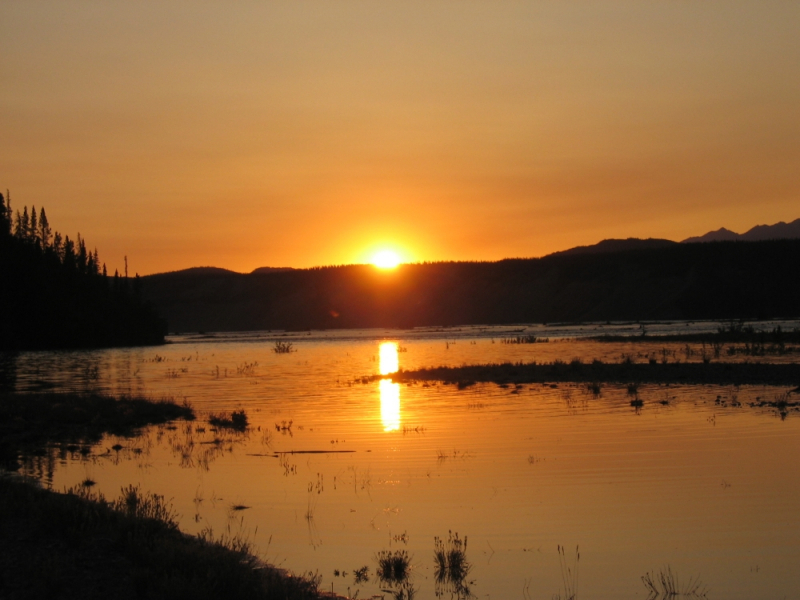 From here you will have a chance to explore the tiny town of Chitina and watch dipnets and fishwheels scooping up the famous Copper River Red Salmon before continuing on your Alaskan Journey. 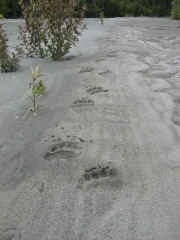 We suggest that you spend some time in the Kennicott Valley before your river trip. 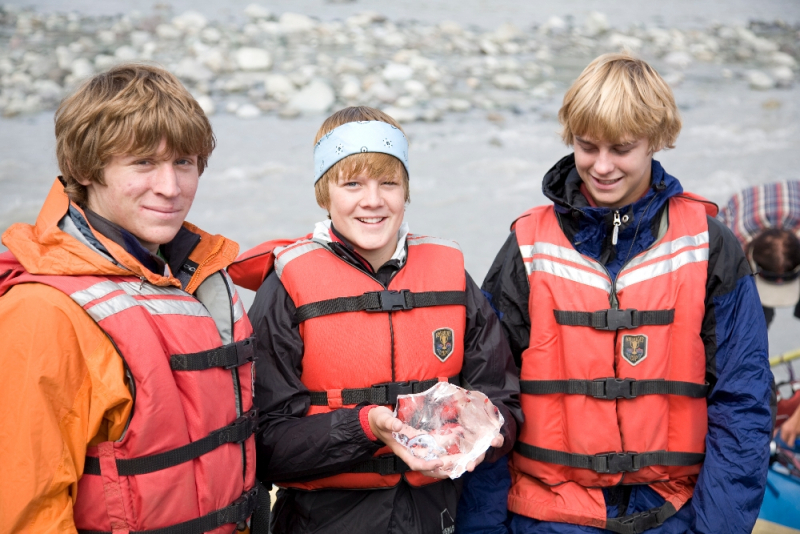 You can add a glacier hike or ice-climbing trip on the Root Glacier, a tour of the historic buildings in Kennecott and/or a day hike to one of the mine entrances as well as a night or more at the Kennicott Glacier Lodge. Please contact us for more information: info@steliasguides.com. 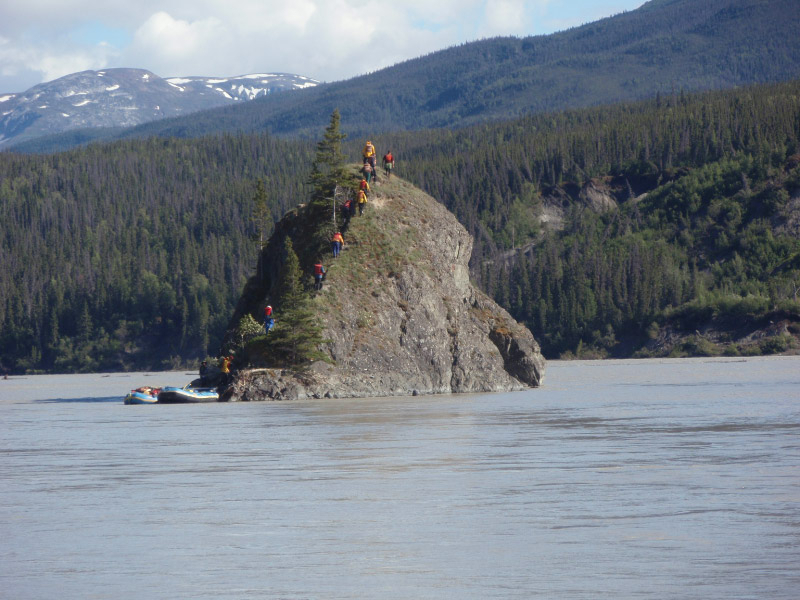 Like all of our rafting adventures, the Chitina River Journey features professional, experienced guides with a wealth of local knowledge and all necessary rafting gear including dry-bags, raingear, life jackets, rubber boots and tents (you provide sleeping bags and pads). 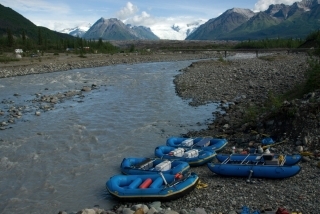 Travelling by raft also enables us to carry excellent, fresh food, including fruits and vegetable, meats and cheeses, and many other items that are truly a luxury in this wilderness environment.